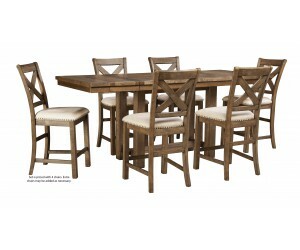 Ashley&apos;s Moriville counter height 5-piece dining collection from Carolina Furniture might be simple at first sight, but a closer look reveals beauty in the details. From the through-tenon pedestal base to the plank-effect table top and distressed nutmeg finish, Moriville is beaming with charm. Small scale is especially suited to loft-style living, but two optional leaves ensure theres plenty of space for parties up to eight. 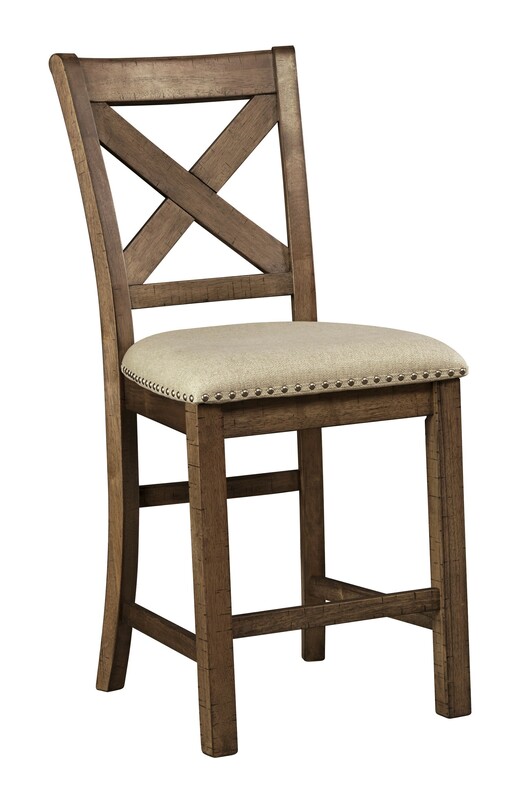 Made with Rubberwood solids and Acacia veneers. 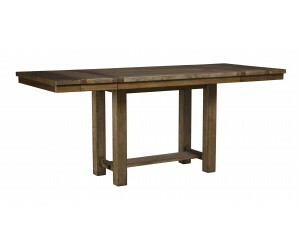 Casual rustic design with planked effect on table top. Table extends to fit 8 with two end leaves. Alternate seating available with the cushioned bench. Matching server offers plenty of storage options. Collection is finished in a distressed nutmeg brown color.